I know this is an old school technique but I’ve been doing this for couple of months already and I really like it. Thought of sharing with you all my experience. I have short, thin eyelashes naturally and am always looking for the “one magic mascara” that will accentuate my eyes. I tried different mascaras, followed different tricks, used different eyelash curlers( which by the way I find useless) but in vain. I stumbled upon this trick on getting thick and longer eyelashes somewhere on the internet using baby powder. I’ll be sharing with you two illustrations I did, using two different mascaras , just to show you guys if it really works or not. For the first image, I used a very simple drugstore mascara by Gosh. Whenever I apply, it actually does nothing than coat my lashes with some product, that’s it. But when used with powder, it actually made a difference. 1. Start with clean eyes. 2. Apply first coat of mascara. 4. Apply final coat of mascara. 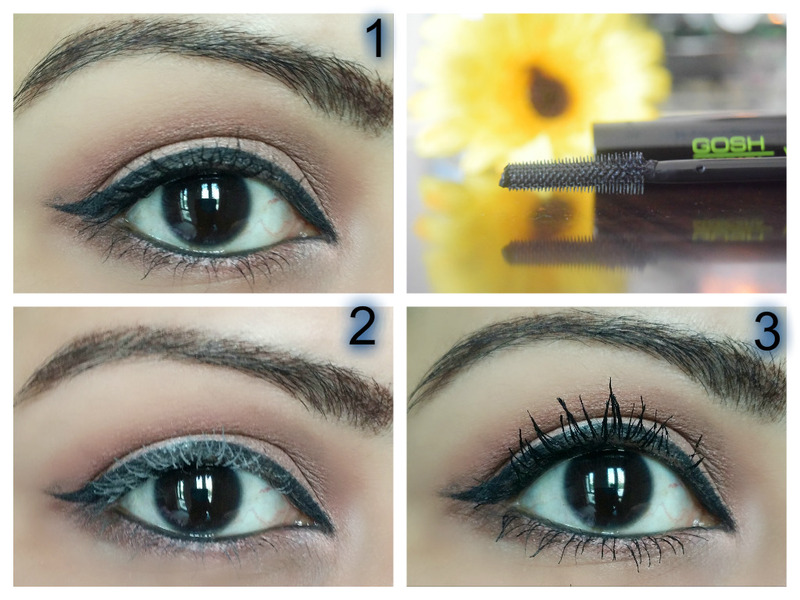 If you want to get a fuller, heavier lashes ,repeat steps 3 & 4. But be careful not to over do as the powder can get clumpy. For the 2nd image, I used Avon mega effects mascara , will post the review very soon, and as you can see the result is pretty much the same as in 1st image using the same technique. So here you go, if you have short , thin lashes as mine, do try this out as it’s not always that we are ready to use falsies. Okay so when you are a beginner, you probably are on a budget. 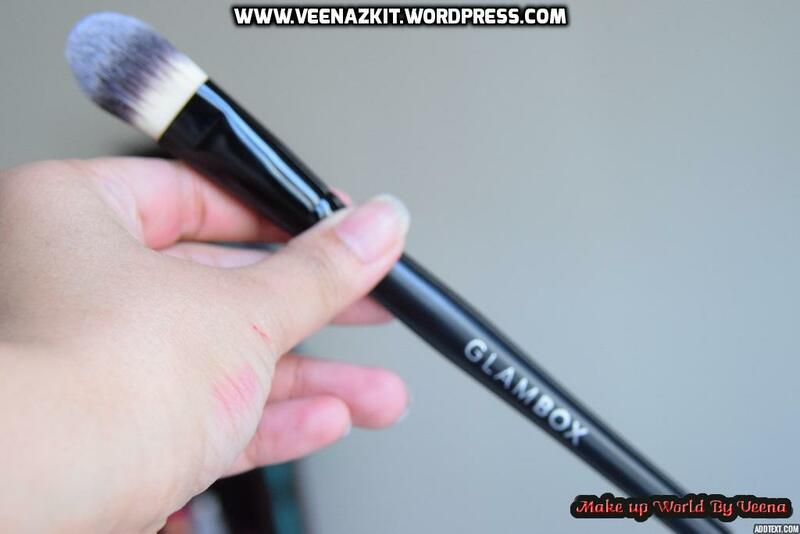 This is my very own opinion on what make up brushes a beginner should have for a start. 🙂 Trust me, these were the only ones I had when I started off. I’ll be putting up another post for advance collection of make up brush sets. You do not really need much , but just 4 brushes! Super duper affordable and easy to understand as well as use. Brushes you need: 1. A foundation brush( The picture shows a buffing brush which is my favorite for foundation.) You can use the flat foundation brush too as the one below. Many of us, specially those new to the make up world , do not realize that our make up tools needs cleaning too. Yes, go and get all your brushes and start cleaning them. 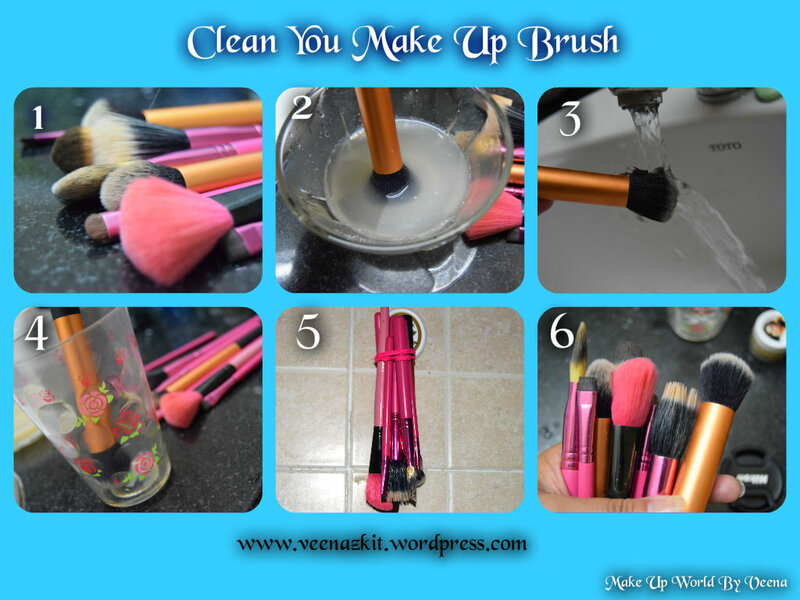 Why is it important to clean your make up brushes? 1. 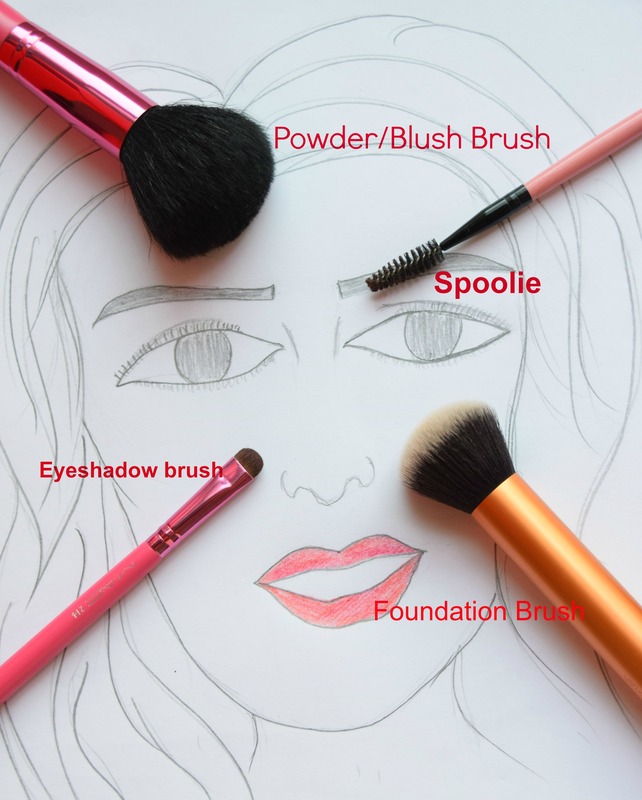 Get all your dirty brushes together. 2. In a bowl mix the dish washing detergent with a little water enough to soak the bristles. 4. Place in the brush just enough that the bristles are soaked in water very nicely. 5. Stir in circular motion properly and eventually you’ll see all the residue in your brush mixed in water as it changes its color. 6. Rub it back and forth on your palms to remove the last of the pigments. 8. Pat them dry with a towel. 9. Let it dry by keeping it upside down in a glass or brush hanger. You can be creative and make your custom-made brush hangers just make sure to keep them upside down(bristles down) because if you keep them standing , the water in the bristle will run down to wards the handle of the brush, spoiling the glue that is keeping the bristles together. don’t think that if you’re using a very costly brush set , it won’t be spoiled no matter what because they will be damaged if you don’t take care of them. Glue is what hold the bristles together. So you don’t want water getting to that part or the bristles will just fall off. How often should you wash your brushes? Where there are many guidelines you’ll find on internet regarding how often should you be cleaning which brush, I clean them all together , as I can’t keep track of which brush I have used and how many times. So I wash them off every after 2 applications.